We’re in the wayback machine again for #ThrowbackThursday, looking at how you can advertise your books for free or almost free. If you, like me, rely on Facebook or Twitter for publicity, this is for you. Several websites will do your publicity for you. 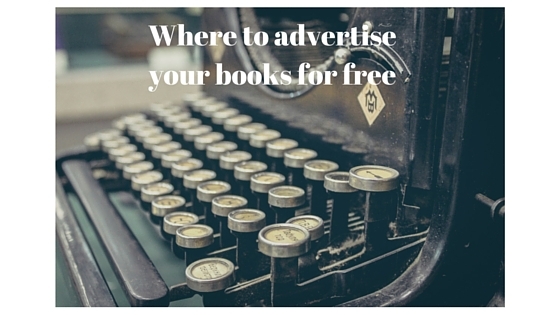 Yes, they’ll advertise your books for free or almost free. Happy birthday! All that’s missing is chocolate cake! I did not create this list, and I want to give the proper credit. This list was compiled by C. Glockel and is awesomesaucealicious. It’s from her September 2014 tumbler post. I haven’t checked out all the links, but if 50% of them are active (and it’s probably much, much higher) I (and you) will have saved a ton of free-for-my-book publicity research. To check out (and buy) her books, go here. These look like useful links. I don’t have anything to advertise at the moment but will pass the info on to friends who do.